I didn’t know it was possible to improve upon the handheld white board, but Boogie Board might have done it. 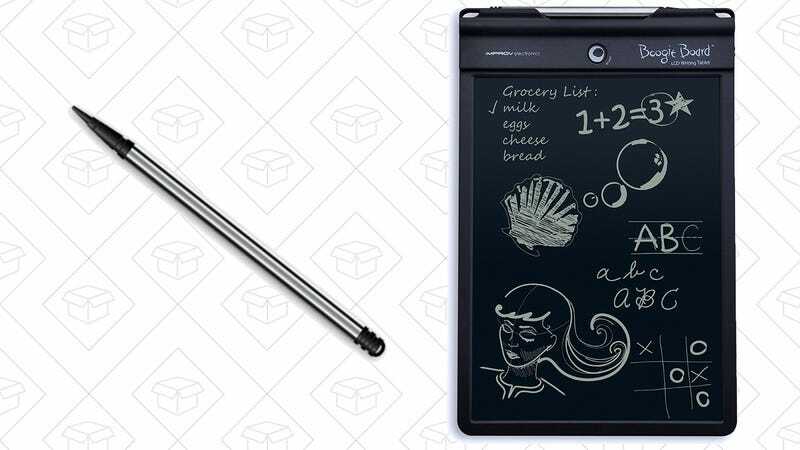 This $23 gadget (an all-time low price, by the way) includes a stylus to draw on its LCD display, and will keep its image indefinitely without any power until you hit the erase button, and of course, the “pen” will never dry out. Our readers have bought thousands of the smaller version, but this 10.5" model gives you even more room to doodle.